In this joyous artist’s manifesto of delight and curiosity, Robin mashes up the two cultures of art and science and combines them with a bunch of silly voices in a celebration of the human mind, from Bohemians to Black Holes, Dali to DNA. Another of his much-loved stand up sort of lectures and the perfect antidote to the world around us. 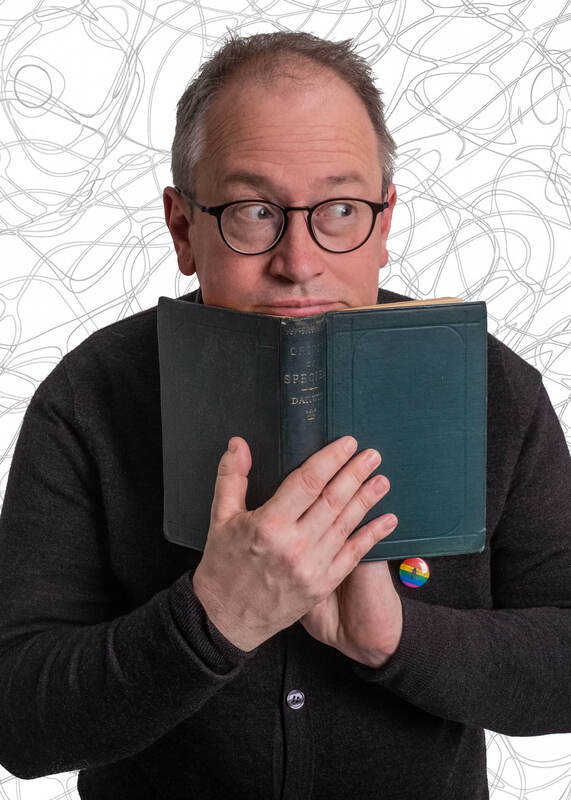 Robin Ince is a multiple award-winning comedian best known for co-hosting the international smash hit, Rose D’Or and Sony Award-winning BBC Radio 4 and podcast series, The Infinite Monkey Cage, with Professor Brian Cox and the acclaimed Book Shambles podcast with Josie Long. He has been the co-curator and host of some of the most acclaimed live science shows and tours in the UK including Nine Lessons and Carols for Curious People, Brian and Robin’s Christmas Compendium of Reason and the hugely popular Space Shambles at the Royal Albert Hall, which he co-hosted with Astronaut Chris Hadfield. This year he is also on a world tour with Professor Brian Cox as part of the show Universal and they have recently finished a sellout arena tour of the UK and Ireland.